I woke up this morning to cooler temperatures and rain in the forecast which calls for: fall sweater weather! Striped pullovers are definitely going to be a favourite of mine this season and this Revolve sweater is no exception. 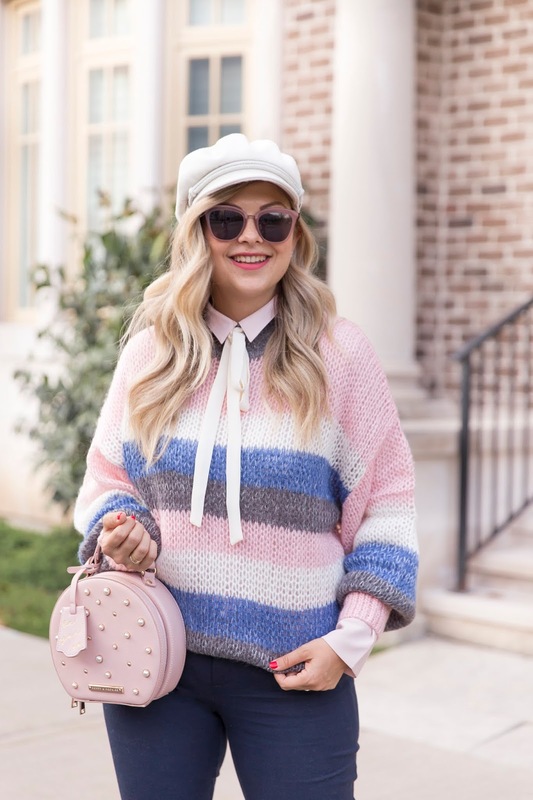 I adore the pink and blue combo and as you can see, paired it easily with my favourite work trouser, jeans and I've got a pink pleated skirt I think it would work great with! I love this sweater!! 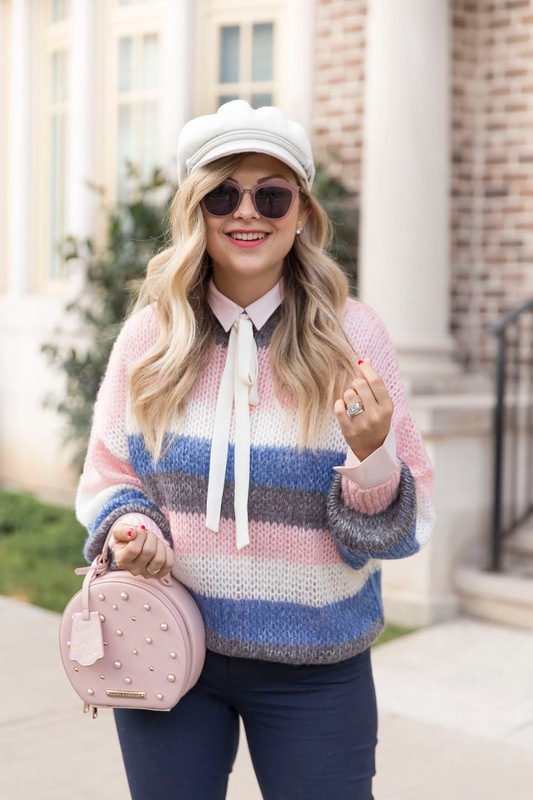 I also just bought a hat like that and I am so excited to style it! Love how you styled yours!